What Legal Rights Do Step Parents Have? If you’re wondering ‘what legal rights do step parents have?’, we have the answers for you here. Step parents often get bad press, stepping into already made families and having to find their role. Jigsaw relationships can get very complicated with the arrival of additional children or, for example, on the breakdown of a second marriage. 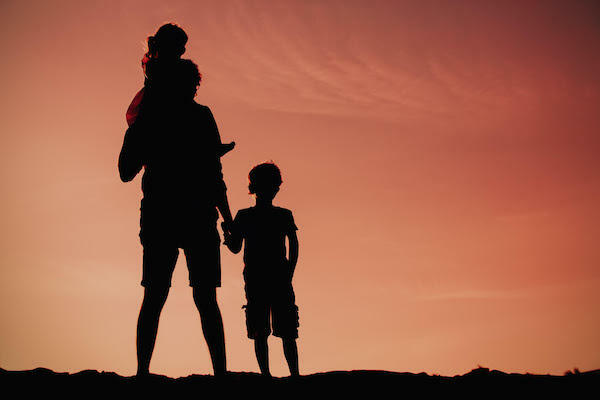 It is not surprising that many step parents feel that they have a lot of the responsibility for caring for step children but few, if any, legal rights. Sometimes it is not until a step parent is challenged that they realise that the law treats step parents differently to biological parents. That challenge can be anything from nursery staff asking if a step parent has the biological parent’s authority to collect a child from nursery or the school nurse needing the biological parent’s agreement to the immunisation of a child. These scenarios are what many step parents face on a daily basis. That can be frustrating especially when one of the biological parents could be ‘off the scene’ leaving the step parent to parent the child. So what rights does a step parent have? What is classed as a step parent? In this day and age with so many different types of relationship many people are referred to as ‘step parents’ but legally to be considered a ‘step parent’ you have to be married or have been married to the child’s biological parent. If you are living in a cohabiting relationship with a parent of children you are not classed as a step parent but you may still be able to ask the court to make orders in your favour provided that you are considered a significant person in the child’s life, and the court gives you permission to apply for a court order. Does a step parent automatically have parental responsibility for their step children? We all know that children say ‘you can’t do that, you are not my parent’ but in some situations a step parent can acquire parental responsibility for a step child. Parental responsibility is one of those legal concepts and means that an adult (normally the biological parent) has rights and responsibilities for their child, understanding what a Parental Responsibility Agreement is goes a long way to understand your legal rights as a step parents. A court makes a parental responsibility order on the application to court by a step parent. What Is Step Parent ‘Parental Responsibility’? Parental responsibility is about the rights and responsibilities for a child, whether the child is biologically yours or a step child. If a step parent gets parental responsibility for a child they have exactly the same rights and responsibilities towards the child as all the other people who hold parental responsibility. No one person’s parental responsibility is more important than anyone else who has parental responsibility. If there is more than one person with parental responsibility for a child and they can’t agree on what is in a child’s best interests anyone with parental responsibility can make an application to the court to decide the question in dispute by making a specific issue order. How do you get step parent parental responsibility? If a mother agrees to a step father having parental responsibility for a child the easiest way to get parental responsibility is to fill in a parental responsibility agreement. The form records that the step father of the child is acquiring parental responsibility for the child. The stepfather will then share parental responsibility with the child’s mother. If the child’s biological father has parental responsibility he will also need to agree to the step father acquiring parental responsibility for the child. Do you have to pay child support if you have parental responsibility for your step child? Whether or not you have legal parental responsibility for your step child you may be asked to financially support your step child if you separate. The financial responsibility comes from the fact that you married the child’s parent and doesn’t have anything to do with the fact that you have parental responsibility for the child. The child maintenance service usually assesses how much child support should be paid for a child. However there are exceptions to this rule and in the case of step parents only a family court (and not the child maintenance service) can order that a step parent contribute financially towards their step child’s upbringing. Do step parents have an automatic right to see a child if they separate from the child’s biological parent? A step parent doesn’t have an automatic right to continue to see a step child if they separate from the biological parent of the child. Some people think that is wrong but the person may not have been a step parent for very long before the marriage broke down or the child may already have a very large and complex family structure involving contact with biological dad as well as a first step dad and the various sets of grandparents and step grandparents. For a child it can be very difficult to juggle contact with family as well as meet homework deadlines and keep up with sporting commitments and see school friends. If a step parent believes that they are significant to the child and ongoing contact with the child is opposed then the step parent can ask the court for permission to apply for a child arrangements order allowing them to see the child. A court will decide on whether the contact is in the child’s best interests.